<span xml:lang="EN-US" lang="EN-US">New York, November 11, 2014:<span xml:lang="EN-US" lang="EN-US"> <span xml:lang="EN-US" lang="EN-US">Adder Technology<span xml:lang="EN-US" lang="EN-US">, the industry leader in high performance keyboard, video and mouse (KVM) products, today announced that Illumination Entertainment has deployed the <span xml:lang="EN-US" lang="EN-US">AdderLink Infinity to help address their increase in production due in part to the enormous success of the<span xml:lang="EN-US" lang="EN-US"> Despicable Me franchise. <span xml:lang="EN-US" lang="EN-US">Illumination Entertainment needed to rapidly expand its production capacity, which created the need for shared resources at the company. Additional edit bays came online, and there was a greater need for editors to be able to quickly swap in and out of the review suite for dailies. After researching the KVM options available on the market to address their problem, Illumination Entertainment looked to Adder to address their connectivity challenges. <span xml:lang="EN-US" lang="EN-US">"Using the AdderLink Infinity products, our editors are now able to setup for dailies or a review session on their Avid systems in their edit bay and then bring up that system in the review suite without interrupting any other sessions," said Joe Stevano, Illumination Entertainment, IT director. "Adding Adder’s <span xml:lang="EN-US" lang="EN-US">digital KVM switching solution to our editorial infrastructure has given us increased flexibility in working on multiple productions<span xml:lang="EN-US" lang="EN-US">." <span xml:lang="EN-US" lang="EN-US">Illumination Entertainment, founded by Chris Meledandri in 2007, is one of the entertainment industry’s leading producers of all-audience event films. In July 2010, Illumination, which has an exclusive financing and distribution partnership with Universal Pictures, released its first film, Despicable Me, starring Steve Carell, which earned more than $540 million worldwide and launched a beloved global franchise. With the success of 2011’s Hop, 2012’s Dr. Seuss’ The Lorax and 2013’s juggernaut Despicable Me 2— the highest-grossing first-run film in Universal’s history and the year’s third-highest-grossing film at the worldwide box office—Illumination’s films have made almost $2 billion. 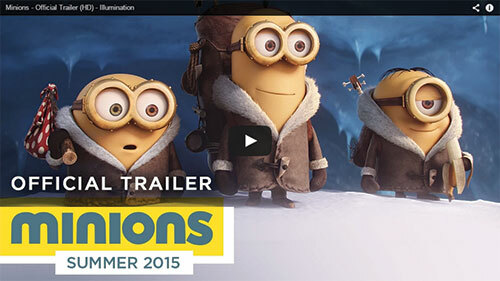 Universal’s and Illumination’s next film, Minions, a spin-off of the phenomenally successful Despicable Me series—starring Academy Award® winner Sandra Bullock and Jon Hamm—arrives in theaters on <span xml:lang="EN-US" lang="EN-US">July 10, 2015<span xml:lang="EN-US" lang="EN-US">. In 2011, Universal Pictures acquired the animation division of French visual effects studio Mac Guff Ligne and formed Illumination Mac Guff to work exclusively on Illumination Entertainment’s fully CG movies. Fans may also experience Minion Mayhem in 3D with the Ultra-HD movie motion simulator adventure at Universal Orlando Resort and Universal Studios Hollywood. For more information, please go to: <span xml:lang="EN-US" lang="EN-US">www.illuminationentertainment.com<span xml:lang="EN-US" lang="EN-US">.